How cute is this? Two shirts in one! or so it seems. 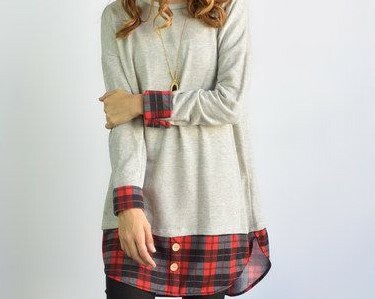 Perfect for fall/winter! It looks upcycled too but these are not :/ These were selling on Zulily a while back. They caught my attention because they really do look like they could be upcycled. 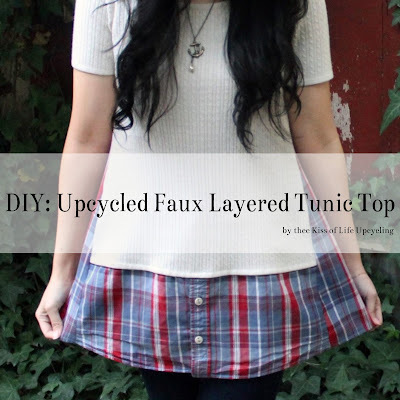 So it prompted me to want to make/upcycle my own. Of course I'm not the first to do this, here's a cute refashion by Chapter 37, where she added the button down's collar too. One great thing about doing this is it's pretty easy since the main parts are already done for you. 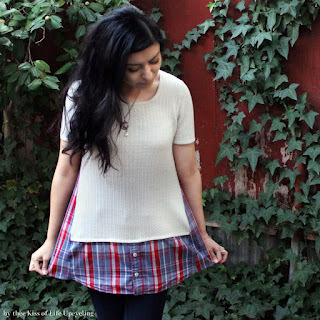 I found this short sleeve knit top at the Goodwill along with the mens plaid button down. 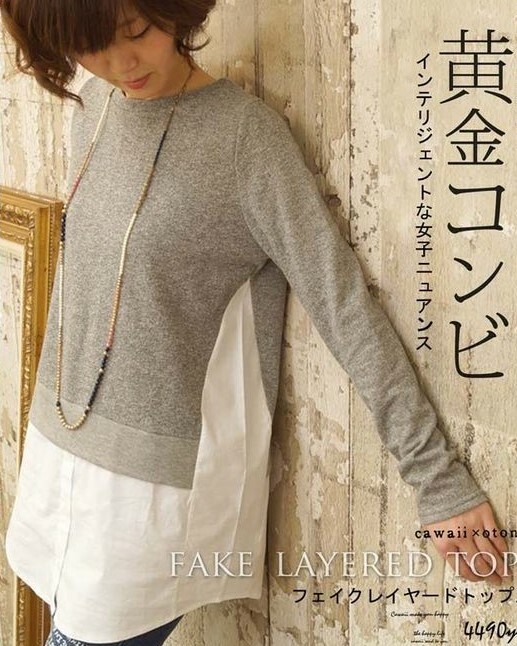 I really wanted a long sleeve sweater but didn't find any. 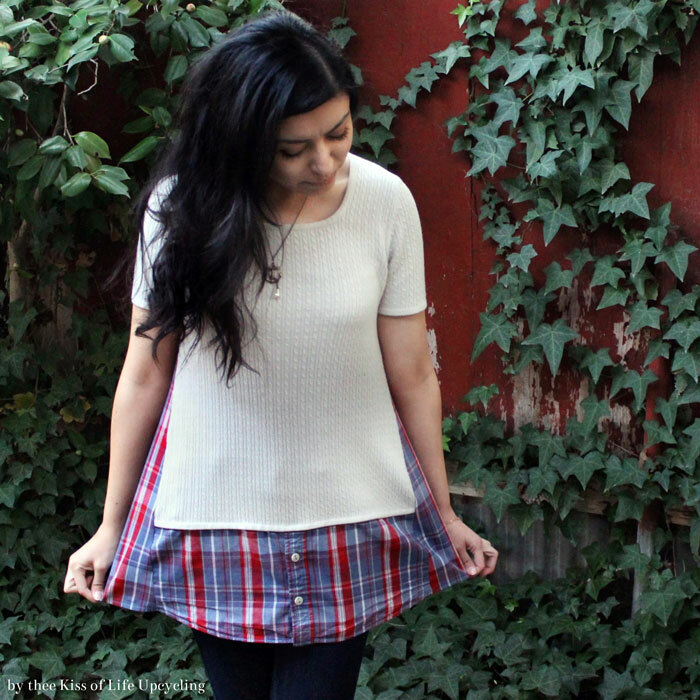 This top is nice though, like new but dated so I think adding the plaid definitely spruced it up. 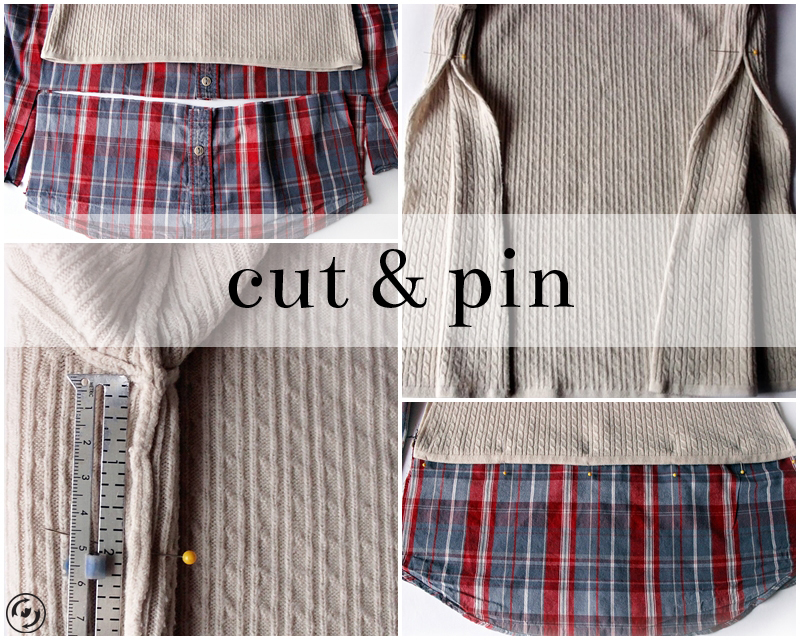 You want to cut however much you want of the bottom end of the plaid button down. Then of the knit top, cut the sides starting 2" down from the underarm. Serge the plaid pieces across the tops. 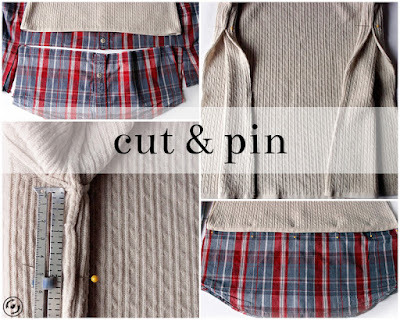 Pin the plaid underneath the knit top, to both front and back. 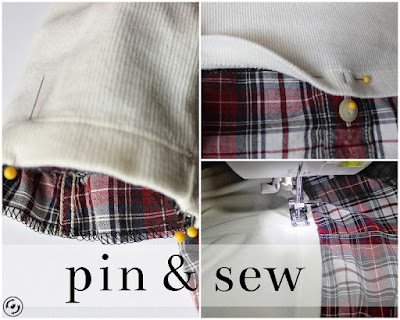 Top stitch to sew the plaid in place with the knit top. Then serge the sides, front and back. Next take the plaid shirt remnant use the back or sleeves if they're wide/long enough. This or these will be your side inserts. Make them however wide for whatever amount of volume you want added. Pin them into place, right sides together. I left the inserts about a quarter inch longer than the side lengths so that when I hemmed it up, it would line up with the already done hem. So you have it all pinned you sew it up. Make sure the tip of the triangle insert is sealed. Voilà, godets! Or really mine turned out looking more like inverted pleats but that's okay. 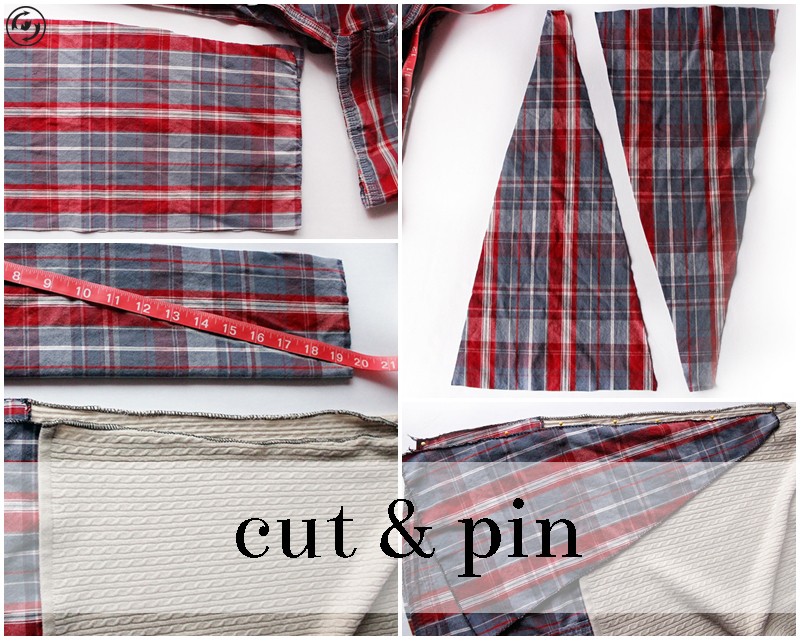 Lastly, hem the bottoms of the added plaid to align with the already done hem. I also added a second button to the bottom opening of the plaid. I thought it needed it. It's quite the comfy top! This is another one I did for my mom. Isn't a lovely marriage? It's basically the same process. Except this one actually has longer sleeves so I was able to add the cuffs. 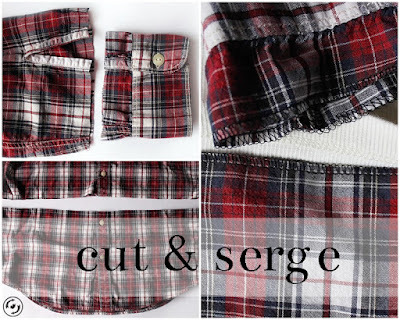 You cut the bottom of the button down shirt and the sleeve cuffs, leaving about a half inch above the actual cuff. 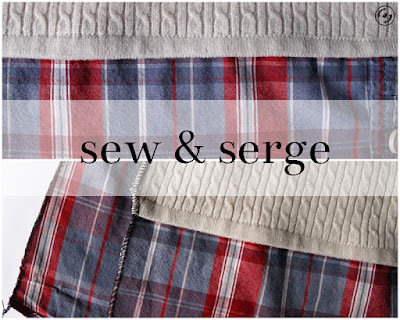 Then serge the raw edges of all pieces. Then you pin it all in place. The cuffs go inside the sleeve so they fold out, if that makes sense. 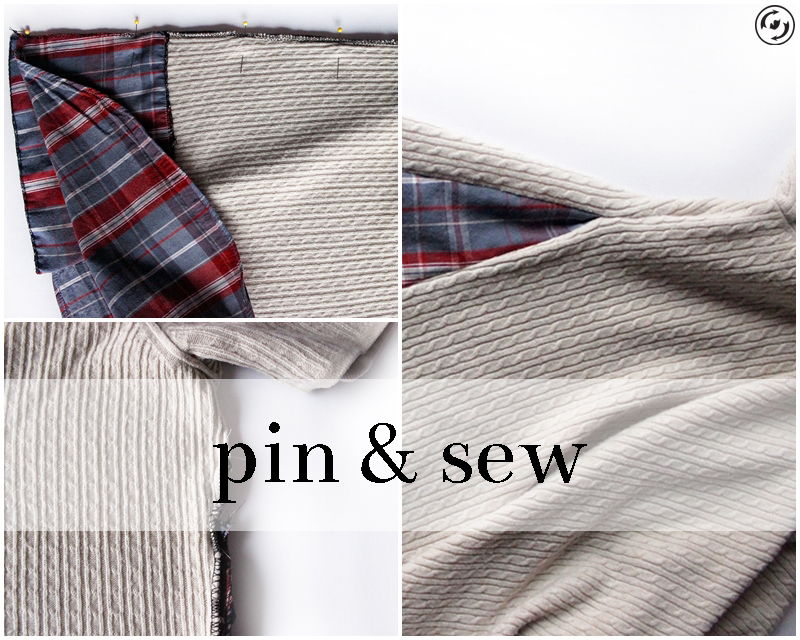 Sew it all up and your done. 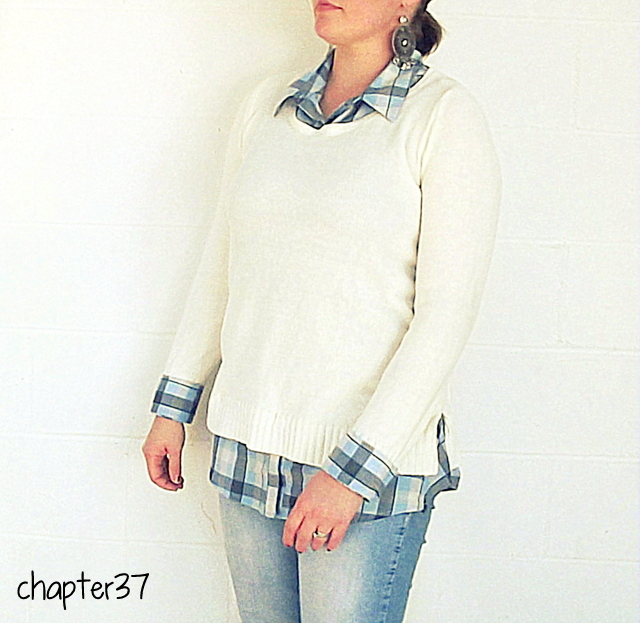 I gave this one a little plaid detail on the top since it has a collar. It helps tie it all together too. 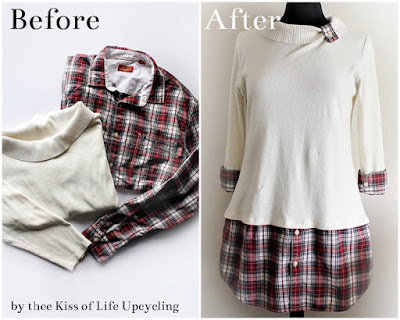 So there you have it, a simple refashion, perfectly seasonal. I hope you give it a try!